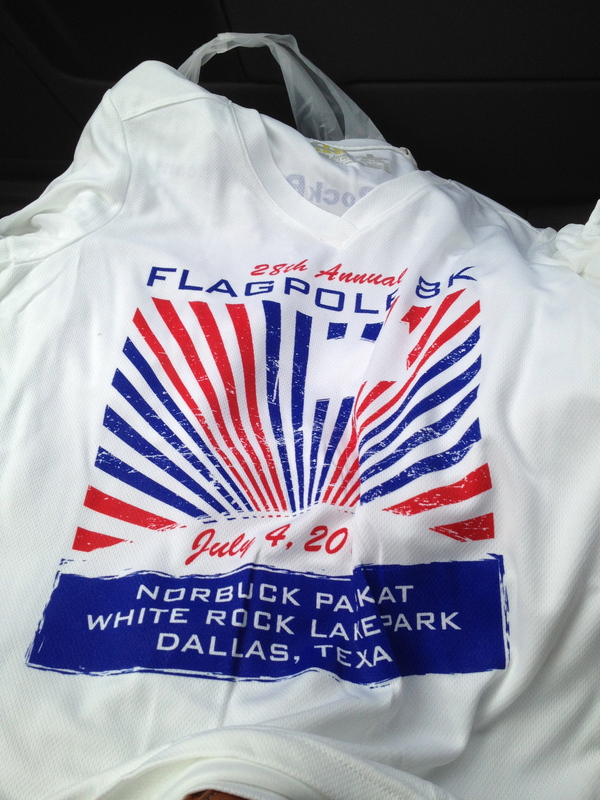 I did the Flagpole Hill 8K run this morning. The funny thing about this run, besides the fact that it is an 8K, is that it’s not at Flagpole Hill, but across the street at Norbuck. I guess that it just doesn’t sound as exciting to have a Norbuck Park Run. When I picked up my shirt, I asked the guy why it is an 8k. He told me that it started out as a run that went from one point to another and it just happened to be 8K, so when they moved it, they kept it as an 8K. My goal was going to be to run 3 miles and then alternate walking/running. I had hoped I could make it a 10 minute pace and run for 30 minutes. Unfortunately, I’m still on Week 7 of Couch to 5K and that only has me running 20 minutes (and I’m really slow.) I made it 30 minutes, but that was only 2.89 miles. 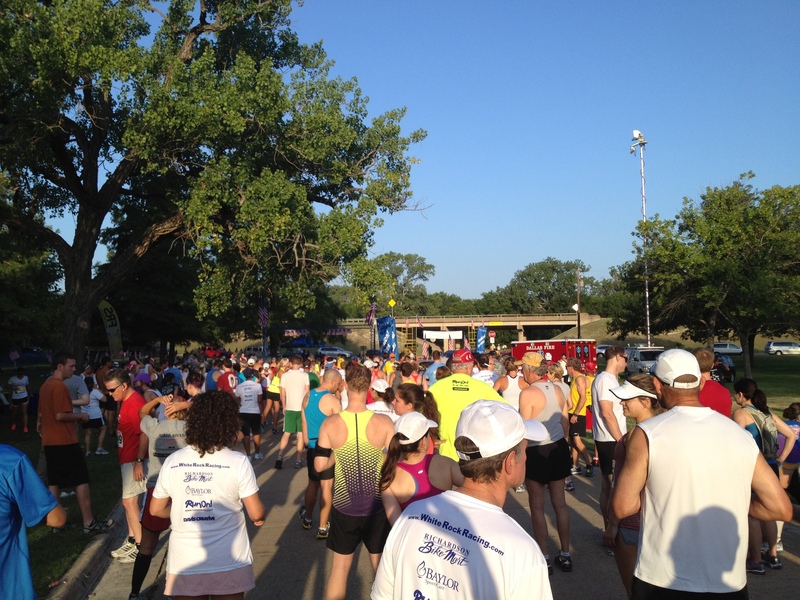 The heat, sun and slight inclines of the race KILLED me and I just couldn’t make it the full 3 miles. I’m not really disappointed though, because I did 30 minutes and that is still pretty good. My official time was 59.35.22. That was an 11.59 pace per mile. I was 257th place and 13th in my age group, (there were 17 in my age group, lol) and 113 female runner. Next week I fully expect to be able to run a 5K, but for now, I am EXHAUSTED. We went swimming after the run and I think all the sun has me drained. I better go take another nap!